Get the best in tumbling classes with the Tumble Acadmy. We offer classes for every age, from preschool to high school, and every level, from the beginner to the elite competitor. So whether you are a cheerleader just getting started, you are preparing for college tryouts or you just want to learn how to tumble, the tumble academy can help with the conditioning and skills needed for success. 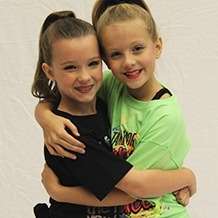 Our classes provide tumbling, jumping, and motion training, with classes and clinics that focus on specific skills, such as back handsprings and back tucks, as well as general skills and instruction in performance technique and choreography. We have developed a fantastic tumbling academy class program with the help of some of the best tumbling coaches in the country. Our program is designed to teach each athlete everything they need to know to be a great tumbler. We offer several levels of classes to ensure the best instruction for each class. We have 9:1 student teacher ratios and class curriculums for each class. For more information on any of the academy classes offerered, just click on the class name in the list below. You can also click the links below for a brief class video above! Gold Great class to prepare students for solid running tumbling skills and series standing skills to be ready to progress through more advances elements. © 2019 Tumble Academy by 180 Pro. Designed by KeyCreative and powered by iClassPro.